What is the difference between Buddhism and Shintoism? Question: What is the difference between Buddhism and Shintoism (Shinto)? Buddhism originated in India which was later imported to Japan around the start of the Heian Period (794). Shintoism is Japan’s indigenous religion. 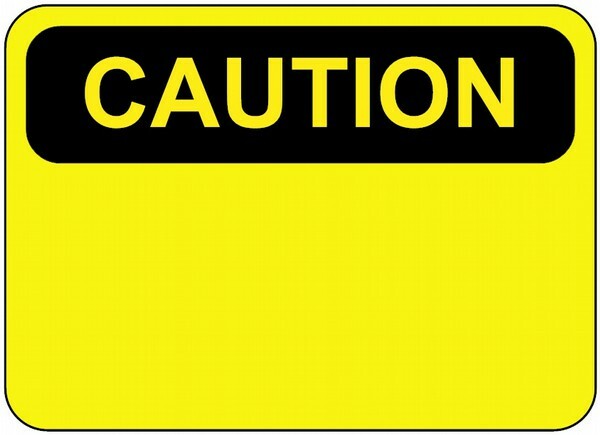 Since Buddhism is a widespread religion, there is a lot of available information on this practice. However, not much is generally known about Shintoism. 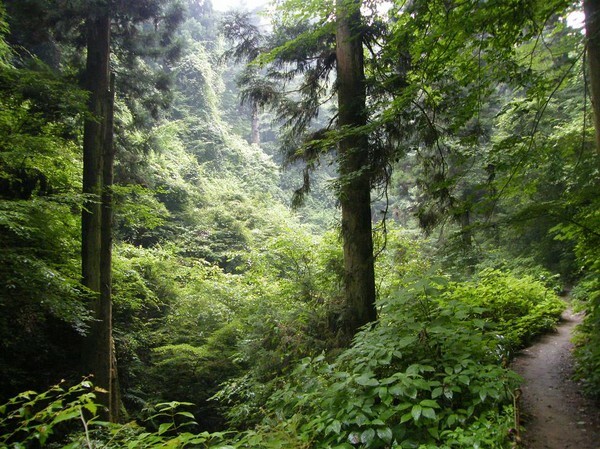 In Shinto, it is believed that everything has a spirit, even stones, trees and mountains. It is believed there are about eight million gods throughout Japan. Spirits of nature and of ancestors are highly revered above all else. People usually pray for happiness and good health at a Shinto shrine. At a Buddhist temple, many pray for their well-being and of their family's in the afterlife. Which is my wedding ceremonies are usually conducted in the Shinto style and a funeral is conducted in the Buddhist style. 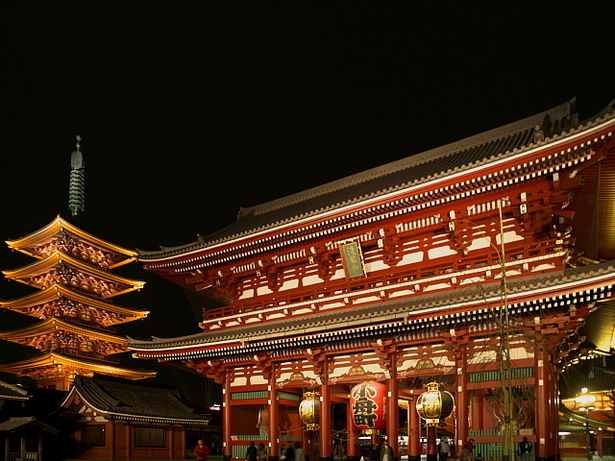 About 1% of the Japanese population follow both religions at once. Which is why the total number of followers for each religion is larger than the actual Japanese population. 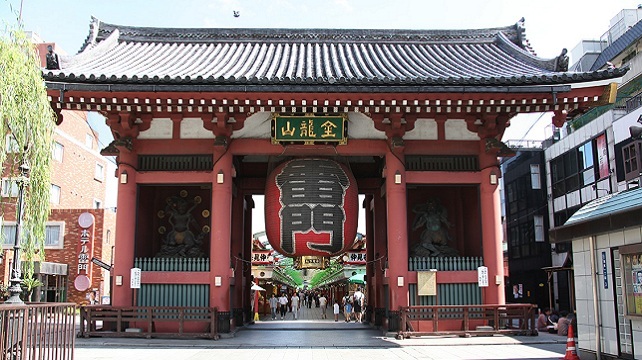 The Tokyo Traditions and Trends tour takes you to Senso-ji Temple in Asakusa and Meiji Shrine in Harajuku, the two biggest and most famous places of worship within Tokyo. How many deities do you have in Shinto? 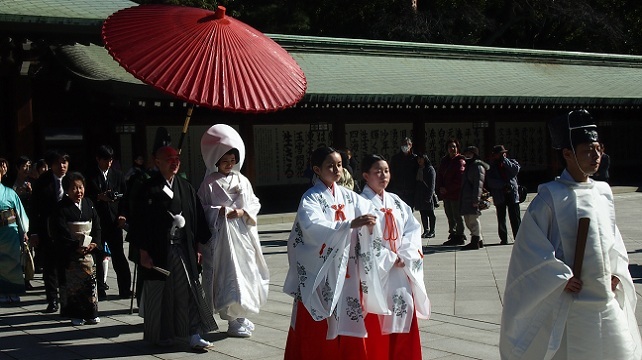 Is it common to have a wedding ceremony at a Shinto shrine? 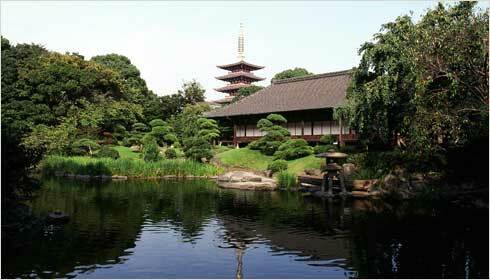 Is the five storied pagoda part of the Shinto shrine? Why do some Japanese people clap their hands when they pray for something at the temple? 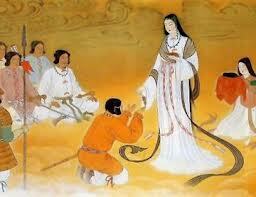 Was Shinto from Korea or China? Why is a stone placed in the tea house at Dempoin Temple, Asakusa?